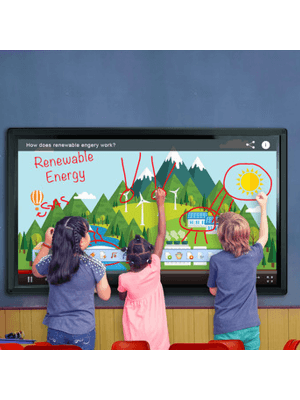 OneScreen T4 84'' Interactive Touchscreen Display is virtually the best touchscreen display in the markets for interactive environments such as in classrooms and dynamic meeting rooms. Developed by ClaryIcon that is well-known as a trendsetter in the collaborative communication industry, it certainly is a package full of experience and innovation. 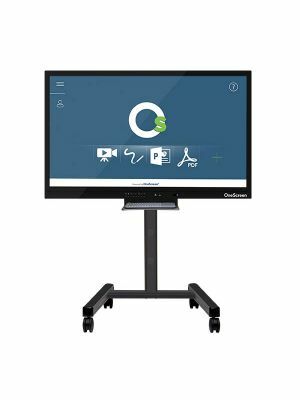 OneScreen T4 is an 84'' touchscreen panel with UHD resolution, 1.07 billion color display, contrast ratio of 4000:1, and viewing angle of 176o. Furthermore, it boasts 10 point multi-touch with <8ms response time. All of these exemplary specifications in a single body make this product very enjoyable and natural to use. The T4 series is installed with the Android 5 IOS. 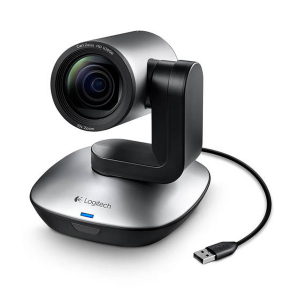 This interface is intuitive and easy to use and also offers users the facility to download any kind of apps through Google Play Store and form networks using MiraCast. 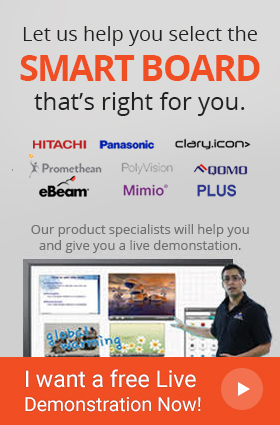 OneScreen Annotate is a software support that accompanies every OneScreen T4 touchscreen display. 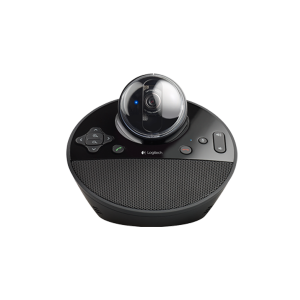 It is built specifically for collaborators who need to brainstorm ideas along with multiple colleagues. It allows up to 50 people to be connected to it and share the same whiteboard space. 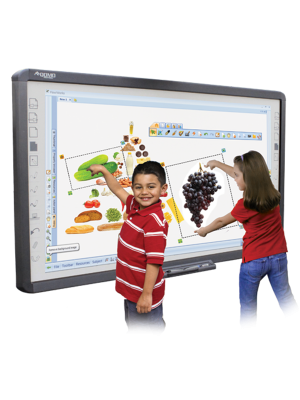 To further facilitate whiteboarding, it has a range of annotation tools, handwriting recognition function, and is integrated with Google Image search. 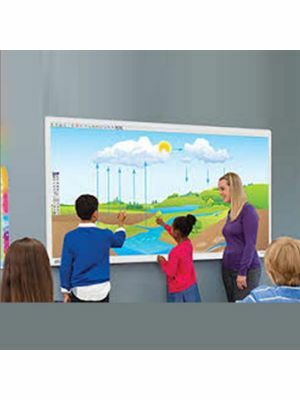 OneScreen T4 84'' Interactive Touchscreen Display is definitely one of the most functional communication product in contemporary markets. It is a must-buy for professionals seeking to boost their productivity.